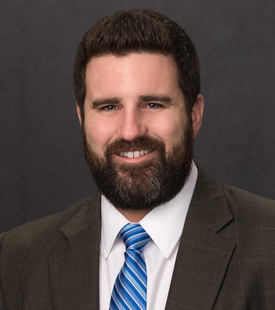 David F. Knobel is an Associate in the Litigation Department in the firm’s Billings office. He works on all aspects of civil litigation in many areas of law, but focuses on commercial, tort, and real estate litigation. He regularly represents insurance companies, banks, credit unions, businesses of all kinds, farmers, ranchers, and individuals in cases involving breaches of contract, real estate disputes, negligence and other torts, bad faith, corporate and shareholder disputes, and state and federal statutes and regulations. Prior to joining the firm in 2017, David spent years representing individuals, businesses, banks, creditors, servicers, trusts, government sponsored enterprises, and others in pre-litigation negotiation and settlement as well as trial and appeal in both state and federal courts across the country. He has handled everything from foreclosures and local code violations to various insurance disputes, quiet title actions, nuisance claims, and bankruptcy disputes. He has defended innumerable lawsuits based upon the Fair Credit Reporting Act, the Fair Debt Collection Practices Act, the Truth in Lending Act, the Real Estate Settlement Procedures Act, and various state statutes and common law theories. David has also prepared formal responses on clients’ behalf to RESPA Qualified Written Requests, complaints to the Consumer Financial Protection Bureau, and complaints to state attorneys general. David grew up in Manhattan, Montana, and is a fifth-generation Montanan. He earned his Bachelor of Arts in political science with high honors from the University of Montana, where he participated in the Model United Nations in New York City, studied abroad twice, interned for a U.S. Senator, and was actively involved in multiple organizations. After graduating from college, David spent a year gaining experience in the business world by working in the network operations center of a communications firm in Bozeman, Montana before attending the University of Miami School of Law. There he served as staff editor on the University of Miami Inter-American Law Review, won numerous academic awards, and was selected to participate in the competitive Miami-Zurich Exchange Seminar, which involved spending a week in Zurich, Switzerland presenting on international business law issues. He also served as a Writing Dean’s Fellow his second and third year of law school, helping first year law students with legal writing. When not practicing law, David enjoys spending time in the outdoors and traveling internationally.